The Bandaranaike Museum, located in a part (2000 Sq feet) of the Main Hall of the B M I C H is today a much - visited repository of valuable documents, photographs, films, audio cassettes and personal items relating to both Premier SWRD Bandaranaike and Premier Sirimavo Bandaranaike. 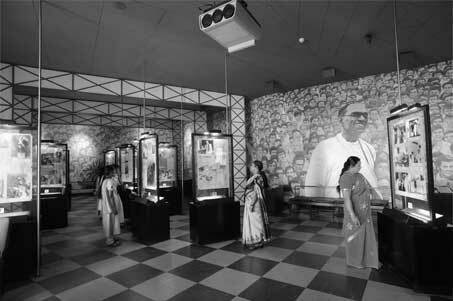 The Museum, which was originally commissioned in 1973, held documents and objects about Mr Bandaranaike, but was enlarged in 2005 to include material concerning Mrs Bandaranaike who passed away in 2000. On average, around 500 persons, largely school children, visit the Museum daily, which is open to the public from 9.00 am to 4.00 pm every day of the week, excepting Mondays and public holidays. Students pay a fee of Rs 2.50 and adults Rs 5.00 for viewing DVDs, listening to audio cassettes and looking at the exhibits. Scanned photo - copies of documents are available on payment. The Curator of the Museum Mr Siripala Gamage and his assistants are on hand to provide further information to visitors, if required. official web site of swrd bandaranaike. commisioned by the swrd bandaranaike museum. 2009. Some rights reserved.